This figure I intentional held off from buying until I heard how Takara Tomy was going to handle their release with their Transformer Go! series. They ended up going with slightly lighter colored red and blue and changed all the translucent green parts to translucent blue. 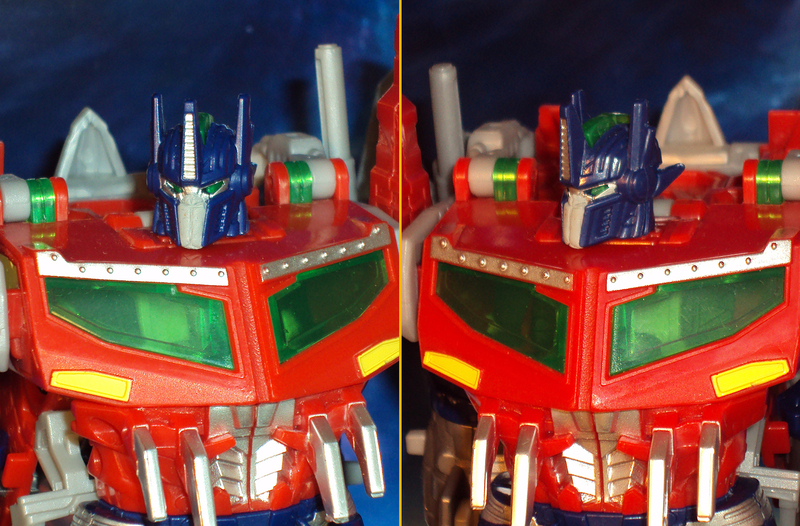 The real important factor to me was whether their version would have a faceplate head sculpt instead of the mouth version. 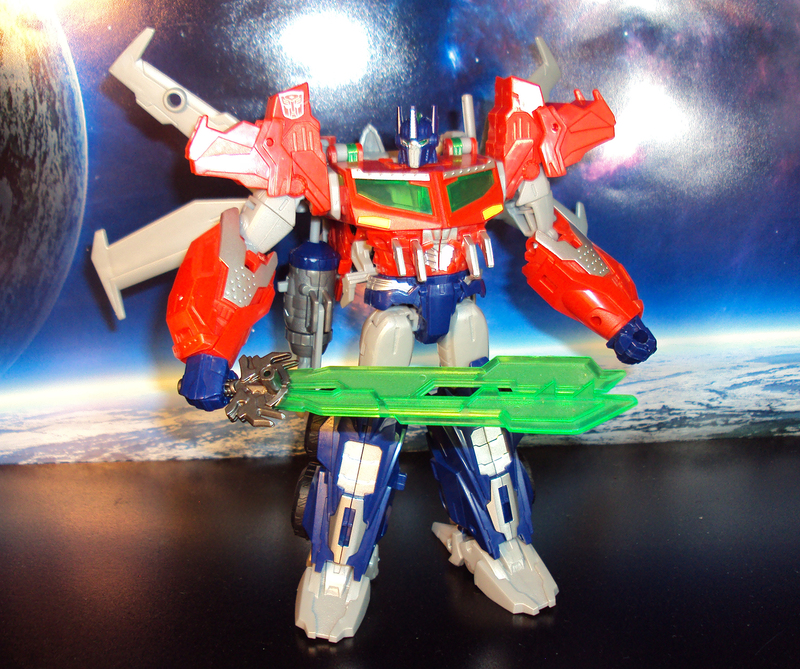 For me, MY Optimus Prime figure must have the face plate head. The going price would probably be around $60 with shipping if I decided to go that route. Decided to just go with the US version and handle the face plate myself with non-dry putt. Though not perfect, I did the best I could to mold a face plate on to the figure. I used just a little of the putty and shaped it with a toothpick and xacto knife. It’s definitely not sleek and hard edged but I get the look I generally want. At a distance, which is generally the view I’ll see this guy the most when looking on my shelf , he looks good. I’m glad the gray of the putty matches the gray used on areas like on the biceps. 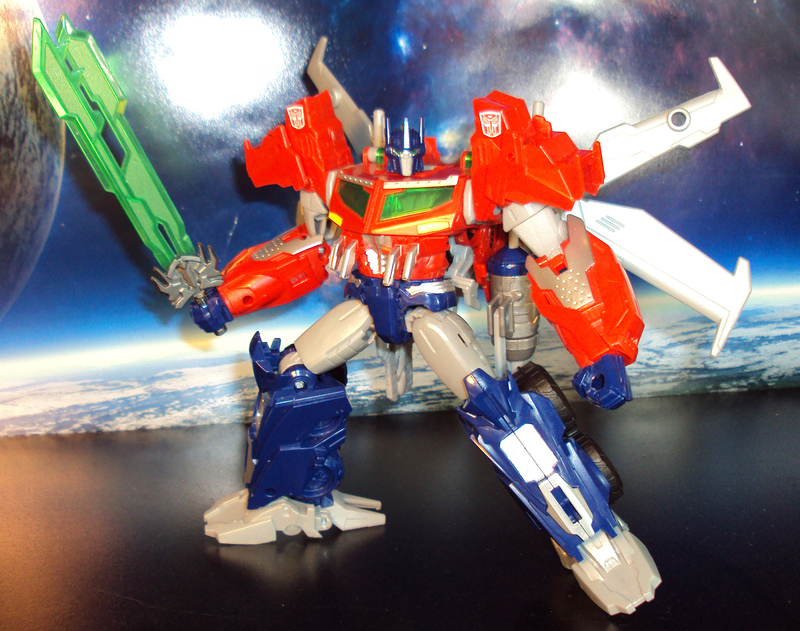 To add a little extra to the figure, I used a couple of Autobot stickers from Reprolabels.com on the shoulders. Though not the perfect solution, it works for me. In the future, I hope that a 3rd party company has alternate head in the works or at least an attachable face plate to stick on.